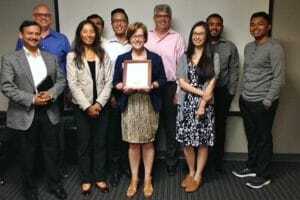 Web engineers, UX developers and Molina management pose with WeCo President, Lynn Wehrman, at their offices in Long Beach, CA. 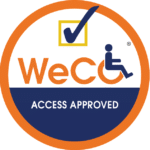 Websites, software and mobile applications that have undergone WeCo’s unique testing process can achieve the WeCo Standards of Access® and display our Access Approved® seal. This tells your customers and competitors that your website or project has met standards not only defined by current laws and guidelines, but they also work well for users living with disabilities. The WeCo Access Approved® Seal means that your website or project meets WeCo’s stringent standards, which include WCAG 2.1 AA. 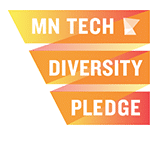 NOTE: The presence of the WeCo Access Approved® Seal on a website or project cannot guarantee any level of access for individuals or groups, or that an organization or business will capture a certain percentage of a market share or increase its profits. But due to the extensive testing your target has undergone to earn the Seal, we believe that while encountering your test target your customers will experience a higher level of usability, comfort and satisfaction compared with other websites and projects.